David and I pride ourselves on our strong work ethic and our dedication to our clients. Our business is built on relationships that have grown from treating our clients with honesty and respect. "Our clients' interests are our number one interests". We enjoy taking the time to educate our clients about the real estate market, and we have taken pleasure in the long-lasting friendships that we have established. We have the experience, innovative ideas, strong negotiating skills, and the passion to give you the best service for your real estate needs. You will receive our undivided attention and dedication to providing you with the level of service and attention you deserve. What this means to you is the highest possible level of service from our team and ourselves. In response to this quality of service we require your heartfelt endorsement to family, friends, and work associates who would appreciate being served by a team whose commitment to them is for life. In every situation we put ourselves in your shoes. We treat your money like it’s our money. We are interested in building strong, lasting, lifelong relationships one person a time. Our goal is to become your Personal Realtors® ….for life! 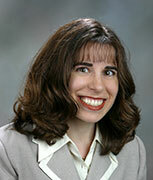 Joanne has 13 years of real estate experience and is a licensed real estate broker. As a broker, Joanne has more experience and training than a licensed sales agent. She currently runs the marketing and sales operations of Beyond Homes, and is an executive marketing consultant. Joanne has met the stringent requirements to be designated as a Certified Residential Specialist (CRS). This designation is held by less than 5% of all Realtors® nationwide. Joanne is also an Accredited Staging Professional (ASP), a designation which is held by less than 1% of all Realtors®. Joanne also recently completed an advanced course in Negotiation and Mediation from Pepperdine University, and continues to reinforce her knowledge of real estate with courses on contract updates, relocation services, and other consumer protection classes. Joanne is a member of the Housing Opportunities Committee, a committee dedicated to educating Realtors® and consumers on affordable housing opportunities and works with non-profits and agencies in coordinating outreach for affordable housing. Joanne also represents Beyond Homes at the San Jose Chamber of Commerce. David and Joanne founded Beyond Homes after working for several other real estate companies in the valley. Joanne is a native Californian who was raised in Morgan Hill. She attended Santa Clara University where she graduated with a bachelor's degree in finance and minors in music and mathematics. She is a member of Pi Mu Epsilon, a math honor society. Joanne is a Certified Residential Specialist (CRS) and is a member of the Council of Residential Specialists. Joanne is an Accredited Staging Professional (ASP) and a Certified Relocation Specialist. Joanne is also a member of the Santa Clara Association of Realtors®, Silicon Valley Association of Realtors®, the California Association of Realtors®, and the National Association of Realtors®. All of these associations uphold a strict code of ethics and ensure that their members are up to date on the latest legislation affecting real estate.